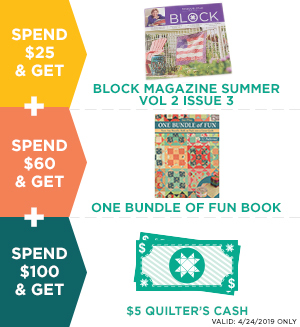 Missouri Star Fat Quarter Stash Builder - Missouri Star Quilt Co. - Missouri Star Quilt Co.
Get the Missouri Star Fat Quarter Storage Bag - FILLED - with 90 mystery fat quarters! That's 22.5 yards of fabric! Includes Missouri Star Precut Storage Bag and 22.5 yards of fat quarters.